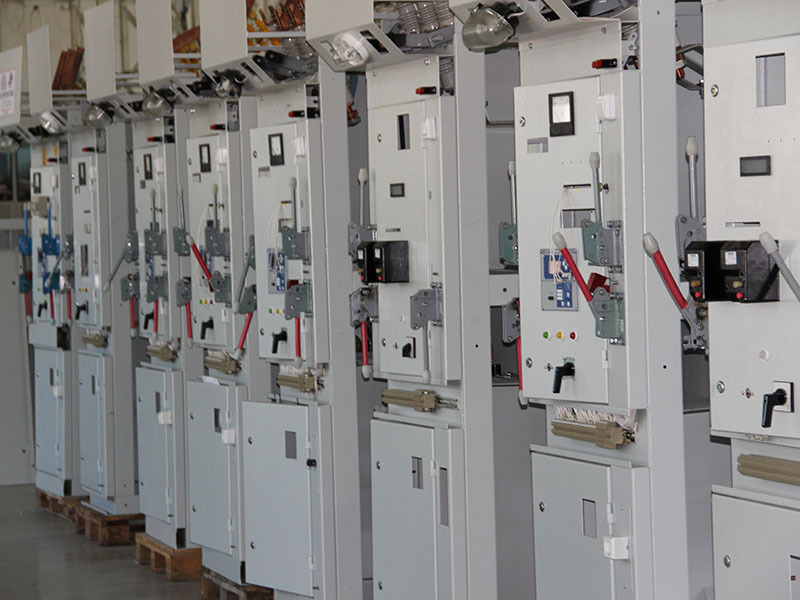 “Electropult-Grozny” Ltd. is a joint venture established by Closed Co. “REP Holding” and the Government of Chechen Republic represented by the Ministry of Industry and Energy in 2005. 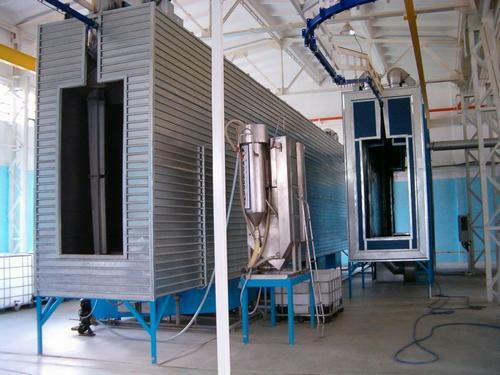 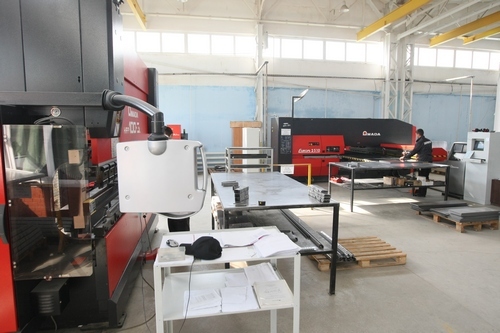 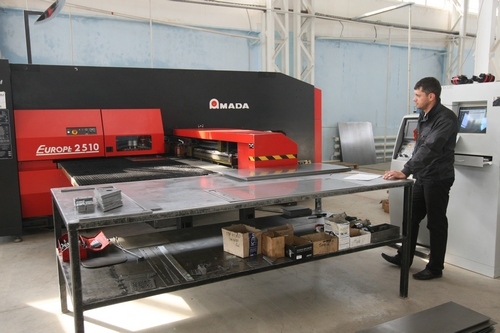 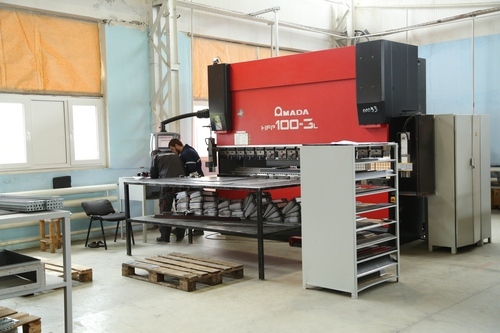 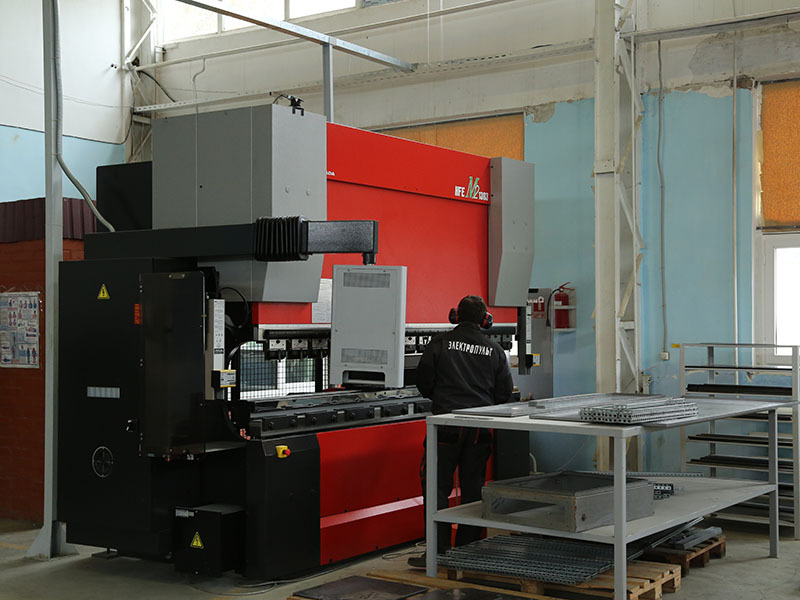 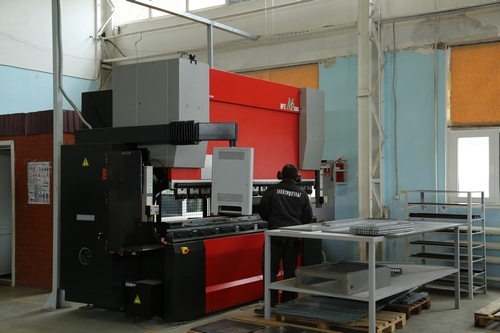 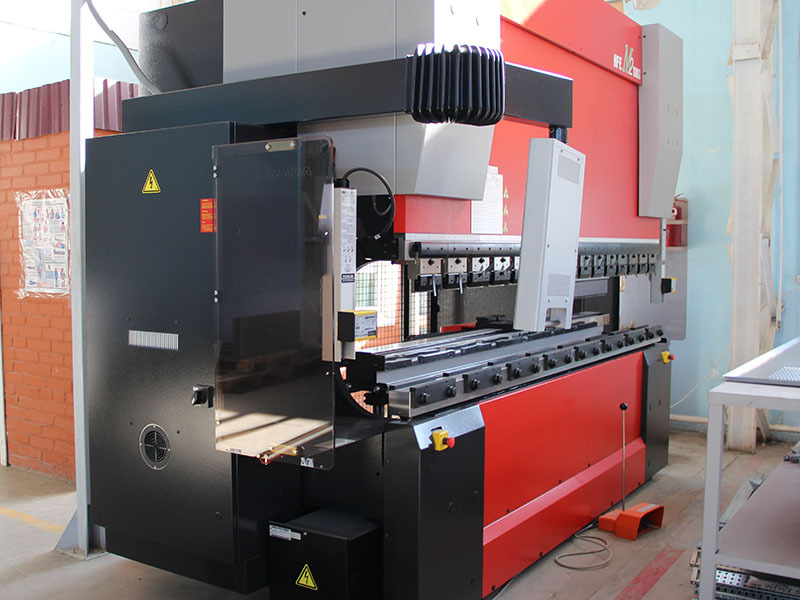 “Electropult-Grozny” Ltd. implies the latest versions of the process equipment on all the production stages in the leading companies: the automatic metal sheet/plate machining line “AMADA” (Japan), the automatic powder painting line, the polymerization chamber (“Gemma”, Germany), the tyre processing line “ERHT” (Germany), the automatic molding machine “Amt” (the Southern Korea), the high-precision turning and milling machines “Abamet”, the eccentric press “Elmali” (Turkey), the bending machine “AMADA” (France), the plasma press (“Multicam”, Germany), the high-voltage test unit УИВ-100 (Russia). 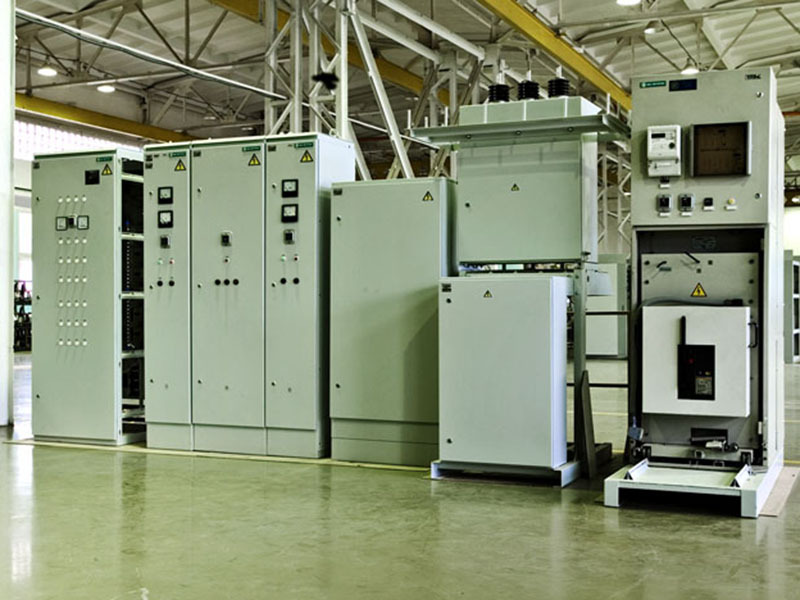 The basic activity of the company is designing, developing, and manufacturing of the low-voltage and medium-voltage electrical equipment, the automated control systems for the electrical equipment in the industrial, oil and gas, metallurgy, transport, energy, communication, agriculture and the civil construction sectors. Automatic Power Backup Transfer Switch АВР. 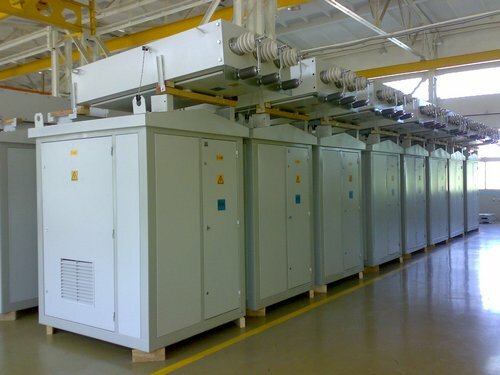 Package Transformer Substations КТП with a capacity upto 2500 kVA. 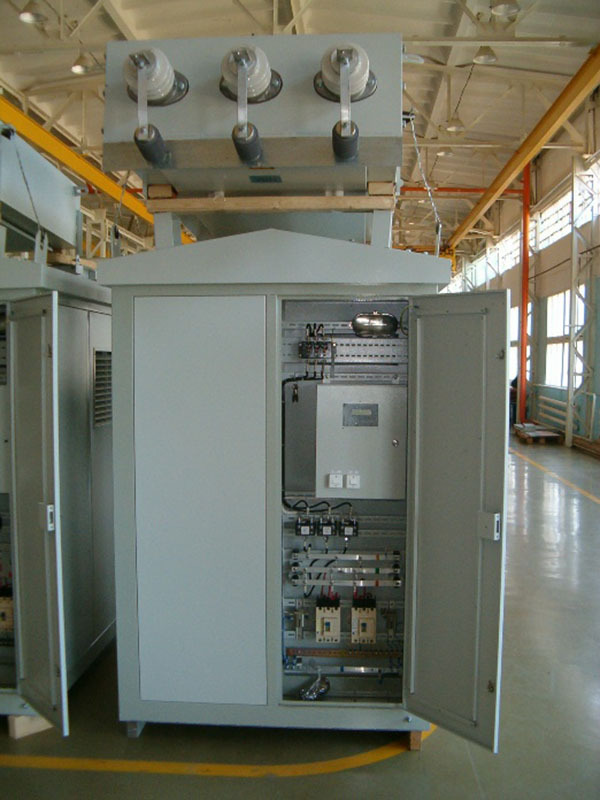 Package Transformer Substations КТПСН with a capacity upto 2500 kVA. Power Cabinets and Boxes ШЭ (ЯЭ). 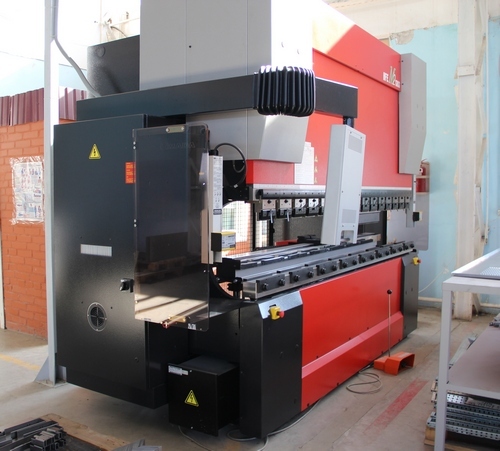 Boxes type Я 5000 ЯУ. 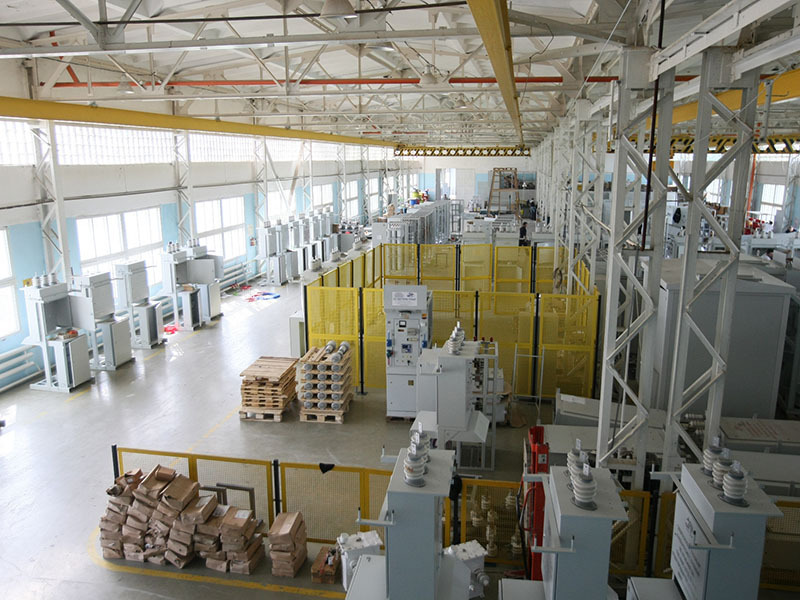 “Electropult-Grozny” supplies its products to the constituent territories of the Russian Federation. 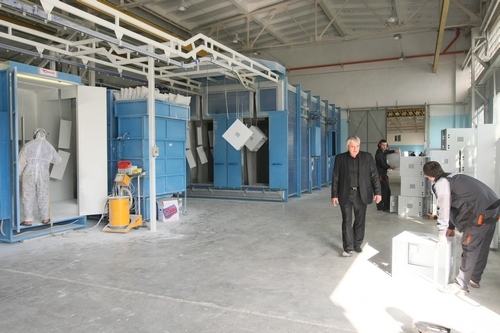 The Sales geography covers the whole RF territory. 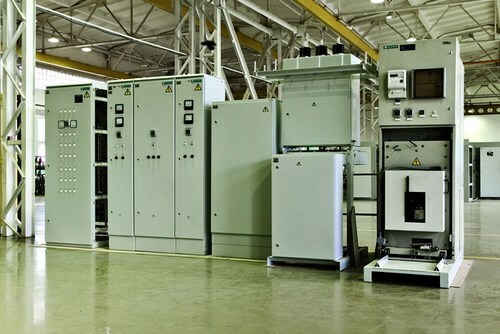 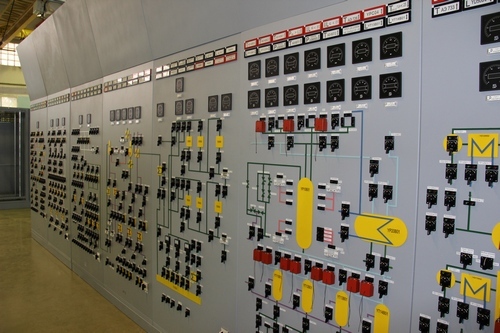 The Company equipment satisfactorily functions in all compressor sites of OAO “Gazprom”: “Novoyubileynaya”, “Urdoma”, “Peregrebnenskaya”, “Izborsk”, “Sindor”, “Volokolamskaya”, “Vuktylskaya”, “Komsomolskaya”, “Khorvutinskaya”, “Volkhovskaya”, “Portovaya”, “Pikalevskaya”, “Zapolyarnoye Oil-Gas-Condensate Field”. 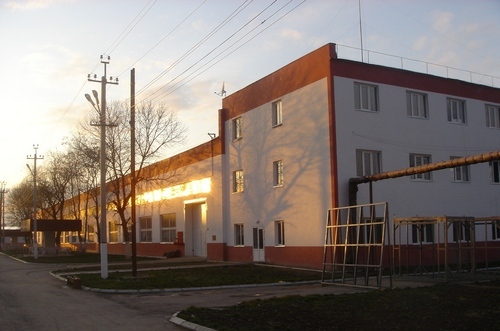 Also the Company provided equipment for NPP “Smolenskaya”, NPP “Balakovskaya”, OAO “Kirishskaya GRES”, power plant “Kemerovskaya GRES”, “Taishetskii Aluminimum Plant”, the gas distribution center in Belokurikha town (on the pipeline Barnaul-Biysk-Gorno-Altaysk), “Stepnovskoye Underground Gas Storage Station”, “Bovanenkovo Oil-Gas-Condensate Field”. 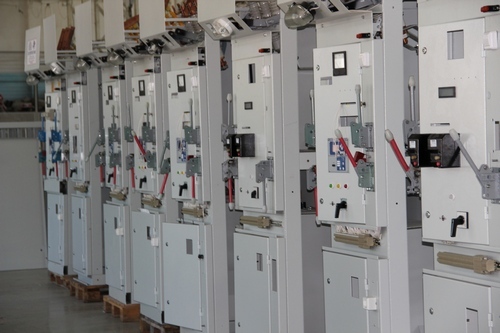 In Chechen Republic the equipment of “Electropult-Grozny” Ltd. are installed in such outstanding objects as the Central Mosque “Serdtse Chechni” (The Heart of Chechnya), Akhmad Hadji Kadyrov sports complex, Grozny City Hall, Supreme Court Justice Department, Residential Complex “Argun-City”, Residential Complex “Gudermes-City”, Republic Printing House, the shopping and recreational center “Grozny-City”, State Unitary Enterprise “GUP “Argunskii Pishchemash”, “Sugar Refinery”, the Grozny biological treatment plant “BOS”, Republican Hospital in Grozny, and the Public Utilities objects etc. 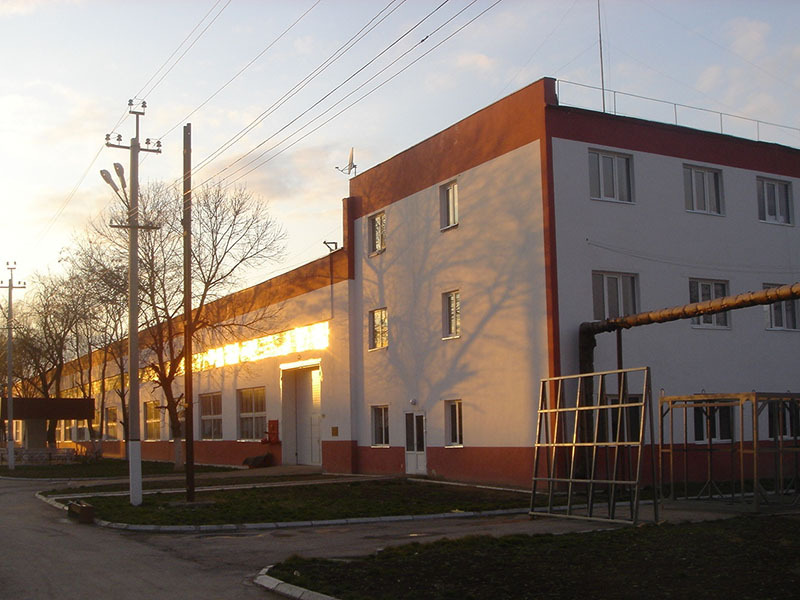 The plant products correspond to the requirements of the International and Russian standards ISO 9001 and GOST, as well as to the requirements of the corporate quality and environment control standards of PJSC “Gazprom”. 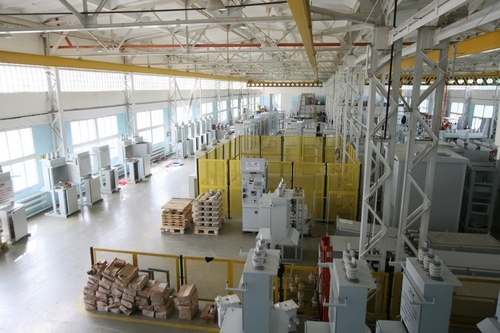 The correspondence to such requirements is confirmed by the certificates issued by the largest independent certification organs: The Federal Budgetary Institution State Regional Center for Standardization, Metrology and Testing in St.Petersburg and Leningrad Region (Test-St.Petersburg), “Petrocert” Association, International Certification Network IAF, SINCERT Association (the member of the International Accreditation Forum IAF). 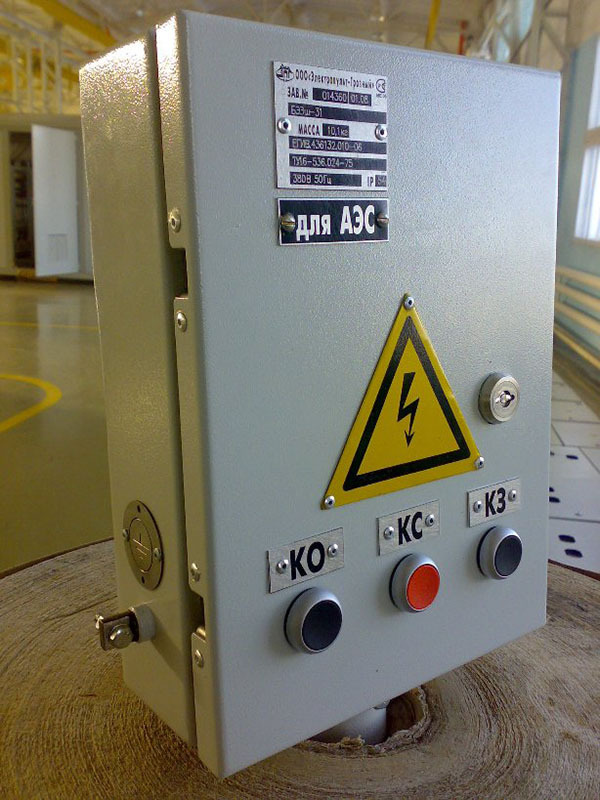 Also the correspondence is proved by the “Gaspromenergocontrol” Certificate of Conformity that proves that the Low-Voltage Package Modules manufactured by the Plant correspond to the Regulations and Standards of PJSC “Gazprom”, and by the license of GosAtomNadzor (Russian Federal Inspectorate for Nuclear and Radiation Safety). 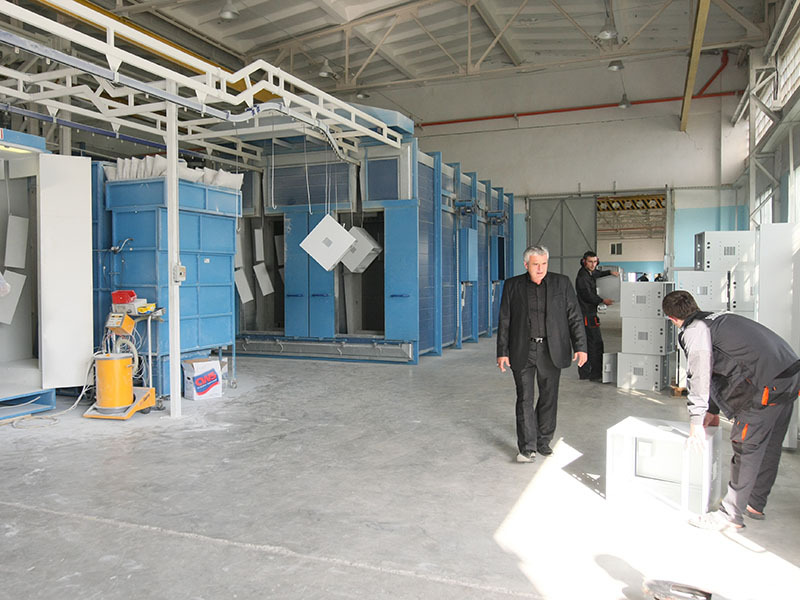 The Plant has implemented the advanced technologies of electrical products manufacturing, and has done the modernization of the basic production facilities and fitting of the high-performance equipment that guarantee the high quality of the products. 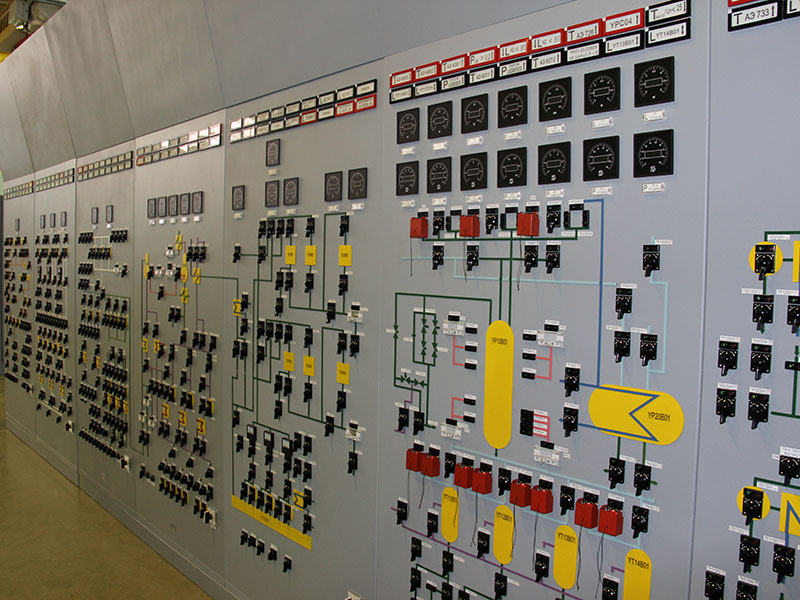 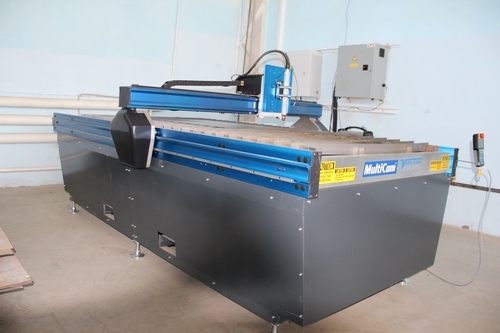 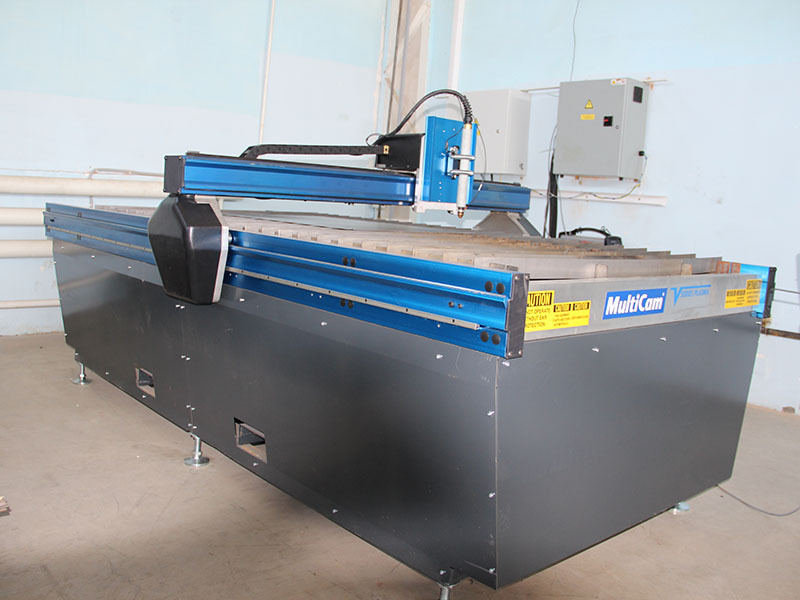 The electrical equipment is now delivered to the User as a complex product at a reasonable price. 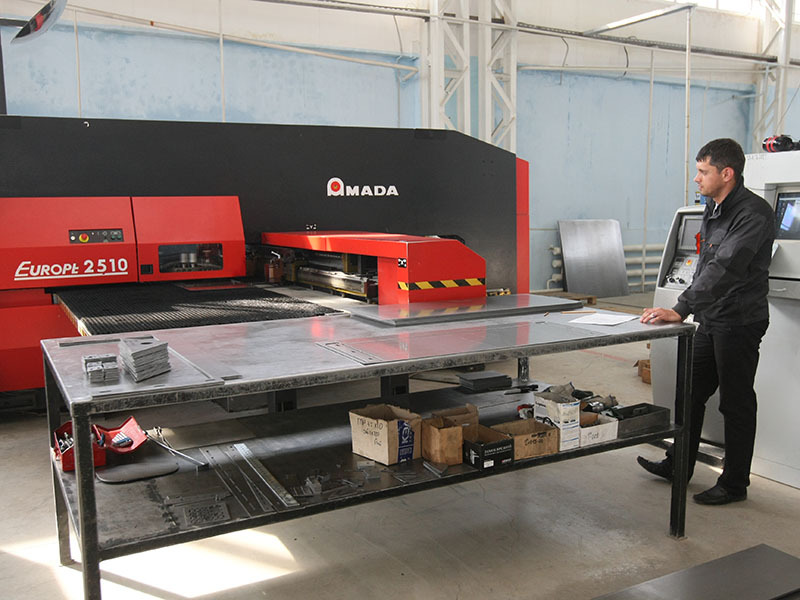 The control processes and the measures related to improvement of the quality management system are being permanently monitored. 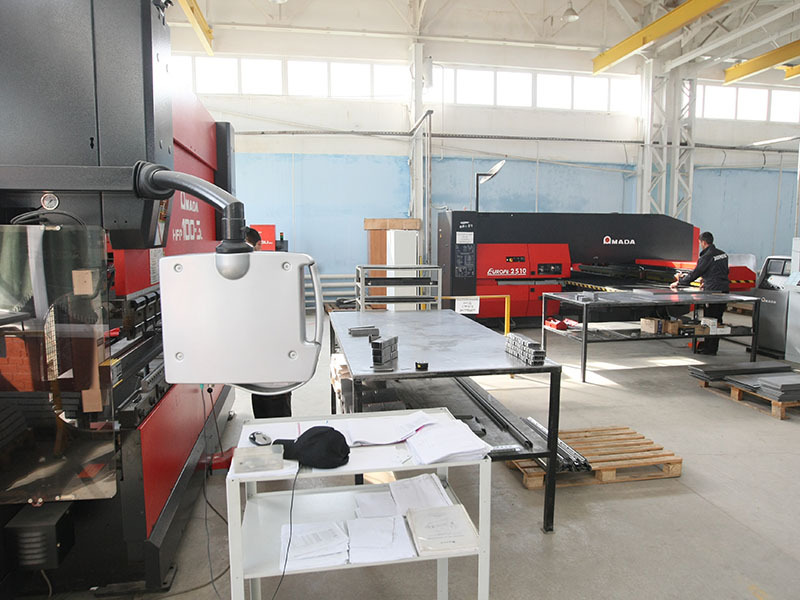 The material and associated items’ Suppliers and the process of their selection is permanently monitored by reviewing the available information about the supplied product quality and about the status of the Suppliers’ Quality Management System. 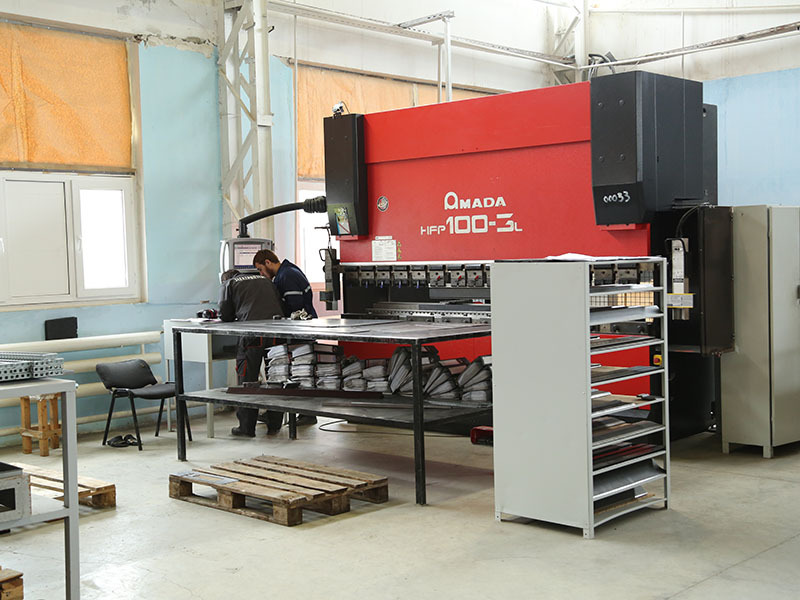 Training and the advanced training is systematically held for all levels of the personnel and the comfortable working conditions are provided.